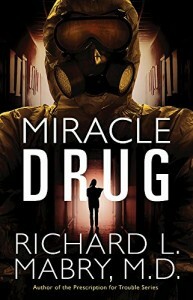 Miracle Drug is another edge of your seat Christian medical thriller from Richard Mabry. Once again I approached my reading with my heart pounding and the adrenalin racing. Richard Mabry writes novels that incorporate his vast medical experience and knowledge. I am not medically trained, but that does not matter, as everything I need to know is explained within the pages. Miracle Drug focuses on the attempted murder of a former American President. It’s pages are full of intrigue, plots and crimes. I found myself completely caught up in the action, as the novel twisted this way and that. As with other novels by Richard Mabry, I found myself guessing and questioning who committed the crimes. As with previous novels, my scenarios turned out to be completely wrong! Good job I am not a detective! At the heart of the novel, under-pinning Rachel, one of the main characters, was faith. No matter how bleak the situation, Rachel prayed, felt calm and clung on to God. She knew that God was in control, and therefore she need not worry. Oh that we could all have a faith like that. Through Rachel, Richard Mabry showed the need to share ones faith. Rachel invited others to church, as she recognised their need for Jesus in their lives. A gentle romance runs underneath the main story, showing that love can blossom in the most unusual of circumstances. A crisis can really illuminate where your heart really lies. Richard Madry creates very well rounded and complex characters, making the novel a very realistic read. The reader feels that they get to ‘know’ the characters, and as such, I found myself smiling when good things happened, and frowning when bad stuff did! I thoroughly enjoy novels by Richard Mabry. His writing is superb, and always clearly well researched, containing murder, mystery, mayhem and romance. He is sure to appeal to both male and female readers alike. 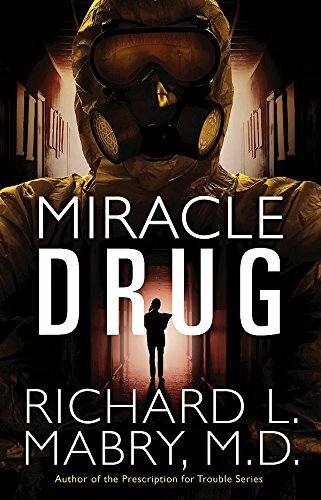 So download Miracle Drug today, and buckle up for a thrilling read. Julia, thanks so much for the review and your nice words. I appreciate it.